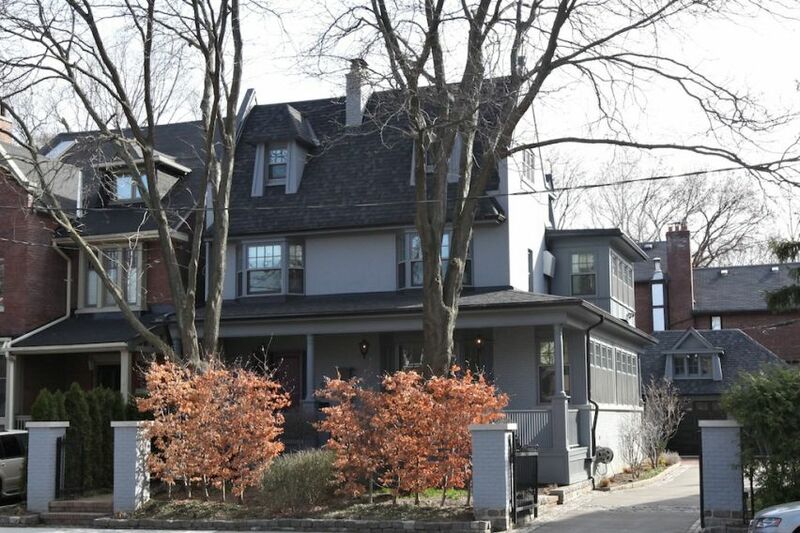 Description: One Of A Kind Opportunity For A Unique South Rosedale Family Home On 73Ft Wide Gated Lot! Impeccably Designed By Sasha From Studio Pyramid,This Reno'd Bright Home Is A Contemporary Take On French Provincial. Charming Curb Appeal Meets A Unique & Luxurious Interior, This Residence Is Perfect For The Family That Desires Space,Style & Functionality. Featuring 5 Bdrms,5 Baths,Landscaped By Mark Hartley,Gourmet Kitchen From Heritage,Ridley Windows & Doors Custom Plaster Mouldings, 9 1/2 Ft Ceilings,Heated Flrs,Speaker System,Nanny Suite,Mudroom,Private Drive For 3 + Rare 2 Car Garage W/Outdoor Cabana Room Perfect For Entertaining. This Home Has It All! !